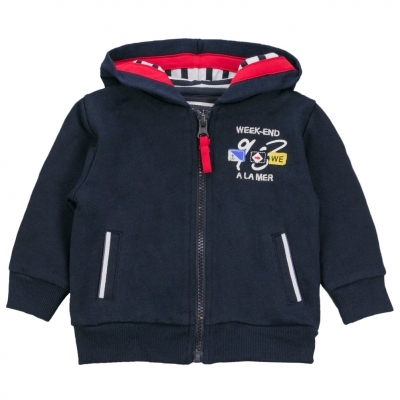 Navy felt jacket, for baby boy. Its hood has a white navy lining to ally style and protection. We note its elasticated edge-coasts, its raglan pockets and its nautical pattern on the chest.